Not all bugs are as cute as these! Homeowners often express concern and aggravation with these nuisance pests. During late autumn, homeowners complain that Multicolored Asian Lady Beetles cluster on the sides of houses; “crunch” under foot; get into food and drinks; alight on hands, arms, and other parts of the body; and sometimes enter the ears and mouth. The lady beetles can be so numerous that they appear to be “raining” outdoors or swarming like bees. Large lady beetle populations typically build up during cool, wet summers that favor tender foliage and large aphid infestations. The life cycle from egg to adult requires about a month or so, depending on the weather. Eggs hatch in 3 to 5 days. Larvae feed for 12 to 14 days, during which time they consume large numbers of aphids, scale insects, and other soft-bodied insects. Pupation lasts 5 to 6 days until adults emerge. 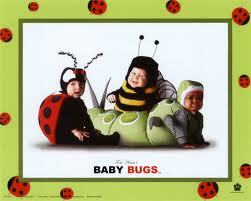 The adult stage is the longest with some lady beetles living up to 2 or 3 years. In spite of their important role in nature, multicolored Asian lady beetles can be seasonal pests in and around homes, particularly from late autumn until early spring. Timing is very important, and preventive treatments should be done prior to overwintering attempts by the lady beetles. If the chemical is applied after the first cold snap of autumn, lady beetles that already have congregated will be unaffected. If applied too early, the chemical may degrade and lose its effectiveness against the lady beetles. The good thing is, these Asian Beetles are harmless. They carry no diseases, and the worst they can do is pinch you causing slight discomfort. Another relief is that they will not damage your property. Hiring a professional pest control service, is your best bet in getting rid of these overwhelming bugs. They come in huge swarms, and no matter how many you get rid of, more keep coming! When hiring Minnesota Pest Control Expert they will usually guarantee to exterminate all these pests using our less toxic organic product line.